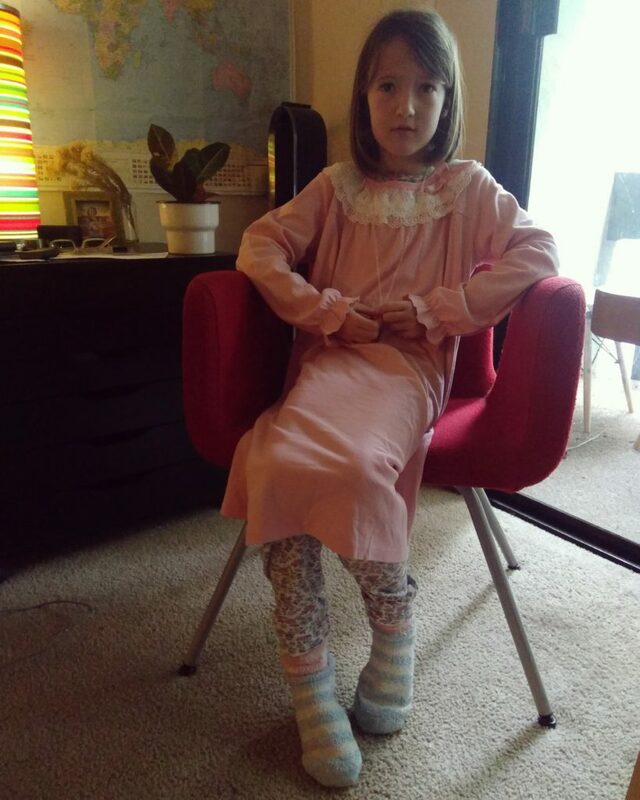 I thought that she would like this night gown because it looks like something Clara from the Nutcracker would wear. 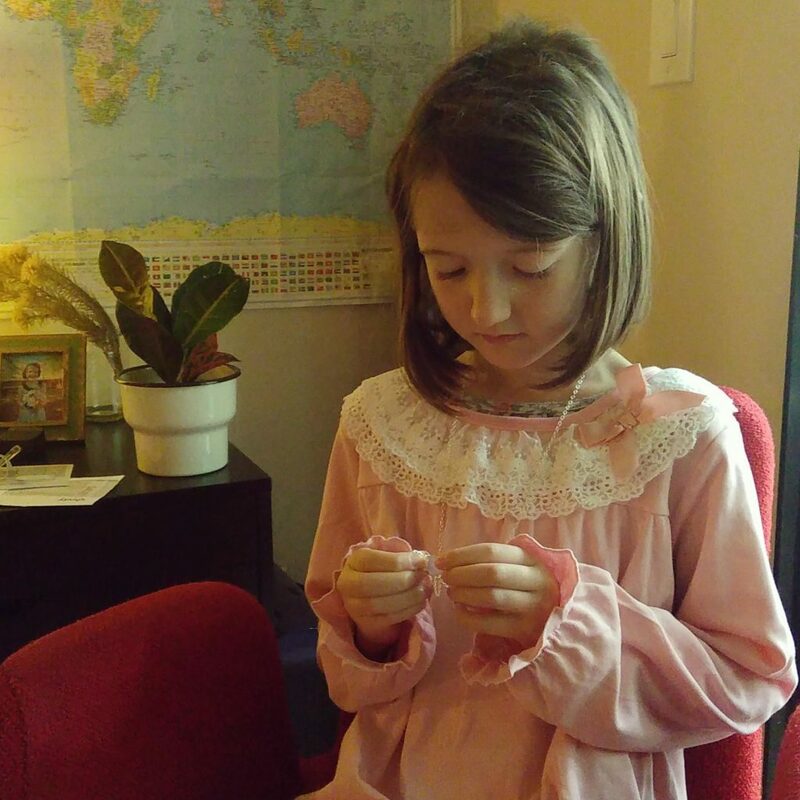 Aunt Elayne sent this nightgown and a pretty rose quartz necklace along with it. Emma Clover is such a lucky girl.